Press Kit: Download the 2019 FedEx Racing press materials at www.fedexracing.com/presskit, including bios for Denny Hamlin, Chris Gabehart and Joe Gibbs Racing leadership, program highlights and statistics. Martinsville Recap: Denny Hamlin finished fifth at Martinsville (Va.) Speedway on Sunday, pushing his way back through the field after a pit road penalty sent him to the back of the pack midway through the race. Denny started the 500-lap race in the fifth position. He kept the FedEx Ground Toyota in the top five for the entire first half of the race, reaching as high as second, despite saying the car needed more help gripping the track through the short-track turns. The #11 team started Stage 3 in 20th – last on the lead lap – after a penalty for an uncontrolled tire in the pit. But, Denny gradually worked his way through the field as he circled the .526-mile, paperclip-shaped oval for the remainder of the race. He made his way into the top five with fewer than 50 laps to go and remained there until the checkered flag flew. The strong finish allowed Denny to jump two spots to second in the championship standings. 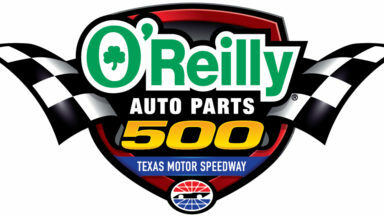 Texas Preview: The Monster Energy NASCAR Cup Series heads to Texas Motor Speedway in Fort Worth for a 501-mile race on Sunday, March 31. Hamlin has collected six top-five and 12 top-10 finishes from 26 starts in the Lone Star State, and will be looking for his second checkered flag in the 2019 season. While your team captured a top-5 finish, what do you think made the difference in not getting the win this weekend? The #11 crew has suffered from some penalties in recent weeks, what will need to change to give your team the best chance of winning this weekend in Texas? District 129, the East Texas Team Along for the Ride at Texas: District 129, the FedEx East Texas team led by District Manager SuZanne Wilson, will be recognized on the B-posts of the #11 car this weekend at Texas Motor Speedway for being the top district YTD in packing performance to plan, at 114 percent.